And you gave me some great suggestions. A couple of you said monsters which kind of….sparked something in my mind. Something that also sparked was the fact that I have NO gifts to bring to my best friends party this weekend. That would just not do. I also have very limited money at the moment, unfortunately. 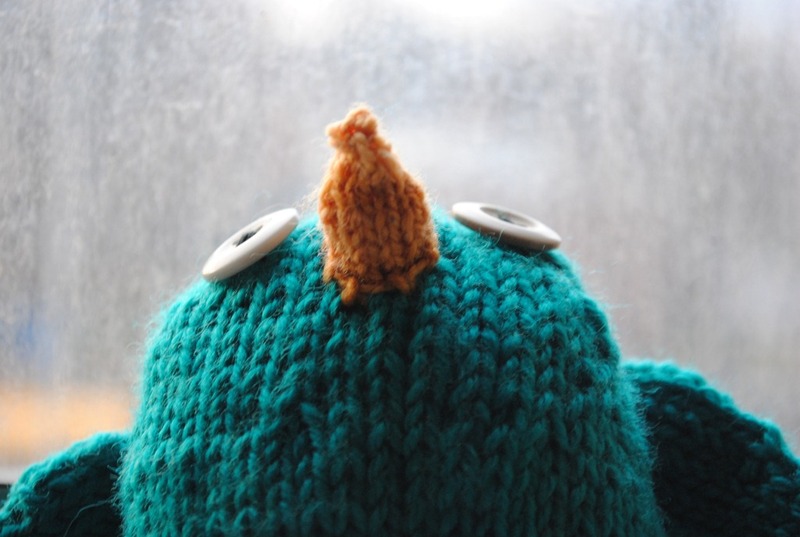 And thus, a birdie was born. I had the idea of toys in my head and my best friends daughter, Lana, came to mind. Maybe I won’t have anything for maria (yet), but her daughter will have a cute little present just for her. 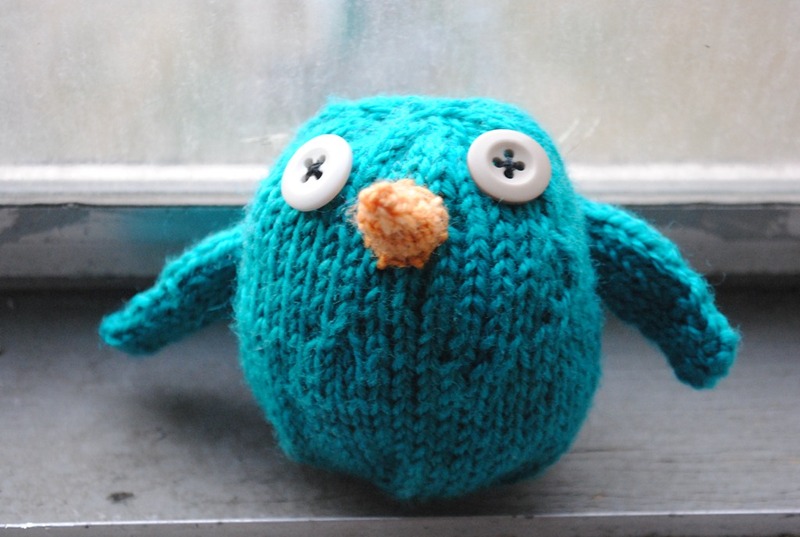 I followed Rebecca Danger’s pattern for Chubby Chirps, it is a free pattern! 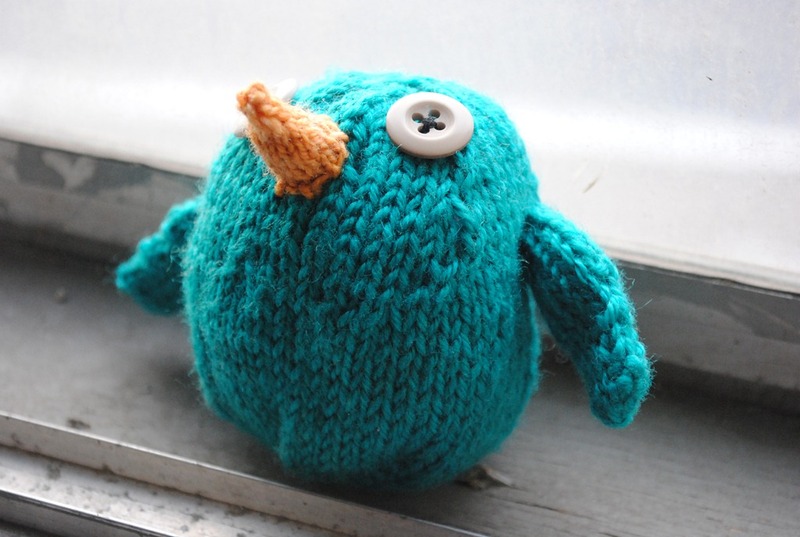 I knit the body and wings up in cascade 220 superwash (same yarn as in my header!) on size 4 dpns. 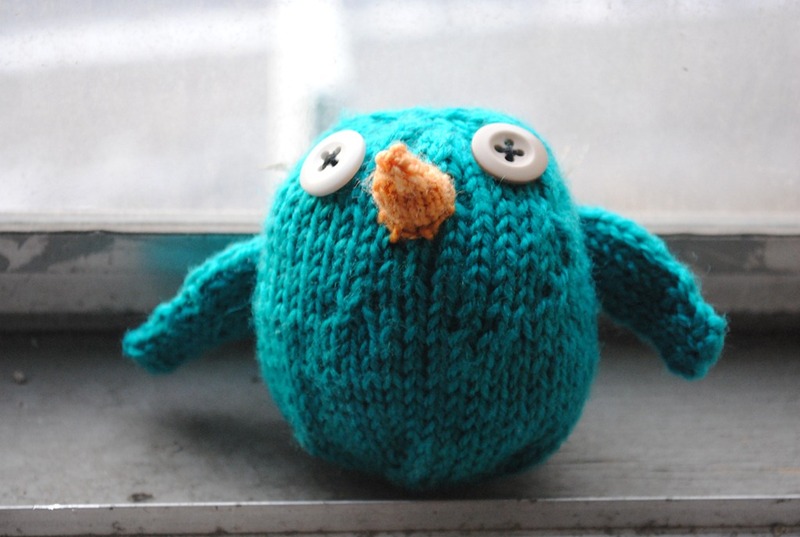 The beak was improvised as I only had sock yarn in the correct colour. 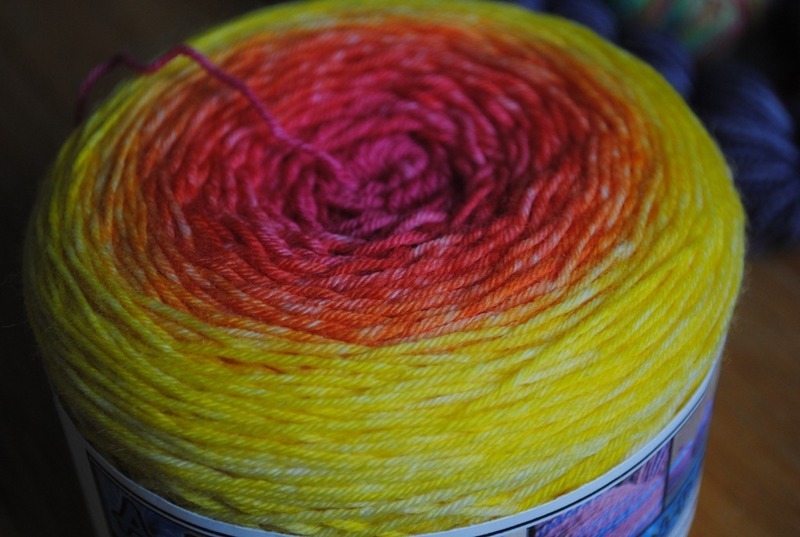 The sock yarn in question was a mini skein of Painted Tiger Tiger Twist in the Spiced Pumpkin Colorway. I love this yarn and want a regular sized skein now! Maybe to use for my beloved Lady Tryamour socks. For the beak I cast on 12 stitches and joined in the round. I knit a couple rounds and then started doing decreases, doing k2tog, k4, k2tog k4 the first time, and then k2tog, k3, etc, until it was a cute little cone. I sewed it on and voila! Here’s my projects ravelry page. I will definitely make this again! So easy and soooo adorable.